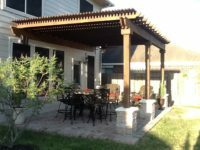 Affordable Shade Patio Covers is the premier builder of custom patio covers in Kingwood, Texas and the surrounding areas. From pergolas to custom designed patio covers, we can handle all of your custom patio cover needs. Enjoy your homes outdoor area year round with an addition of a new outdoor shaded area. Patio shade covers not only offer the benefits of traditional shelter from the sun, but they also add a blend of beauty and elegance to your home. 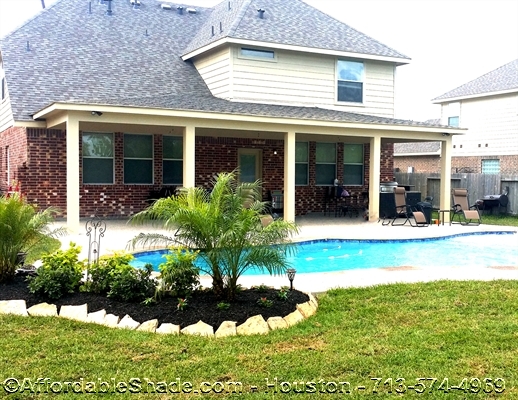 Transform your homes outdoor activity area, whether it’s a garden, deck, walkway, pool or patio area into a real Texas oasis with a decorative pergola or custom shade cover. Provide family and friends with protection from the suns harmful UV rays and grueling heat by installing a new custom patio designed and professionally installed to fit your home’s architectural style as well as your taste. At Affordable Shade Patio Covers we take great pride in the quality and perfection in every shade cover we install. 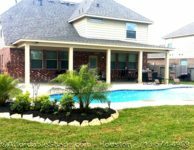 From premium quality products and materials to guaranteed customer satisfaction, from simple, affordable covers to the very complex, regardless what design or size pergola or patio cover you need, we are the most experienced professionals in the Kingwood area. Pergolas and Patio Covers help protect you from the sun and are also beautiful and elegant. There is a wide array of options and choices available to you, call today to set up a Free Consultation with our design team, please call 713-574-4969 or contact us online.